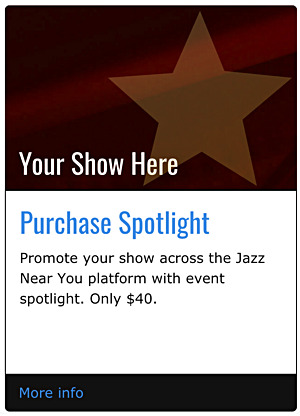 Musicians, venue owners, and presenters can greatly increase the visibility of their events and boost ticket sales with the Jazz Near You Event Spotlight service. Spotlight gives an event prime placement on the Jazz Near You home page, on the Jazz Near You calendar page, in the weekly Jazz Near You email, and in the Jazz Near You app. The Spotlight service is only $40 per event and can run up to five weeks from the date. A last minute spotlight is still effective, though placing an order prior to the Thursday eblast is recommended. Spotlight events appear at the top of every calendar page. 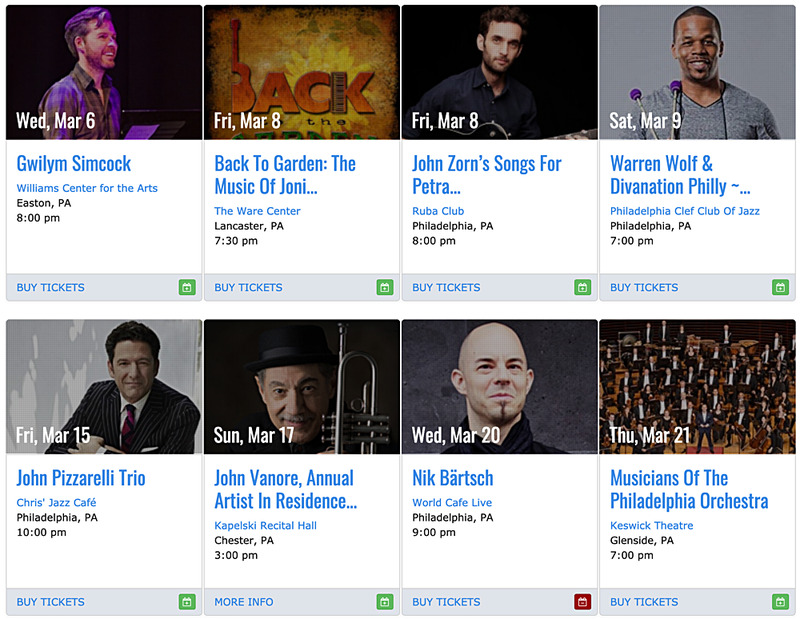 Spotlight events appear above the group of listed events in the subscription version and the on demand version of the weekly Jazz Near You email. Sent every Thursday. Spotlight events are highlighted and receive top-of-the-list placement in the Jazz Near You app. Spotlight events are also identified with a gold star on all Jazz Near You pages. Upload your event to Jazz Near You prior to placing your order.